Well, my web skills are fairly meager at present and I'm no good with photoshop, but here's an Outlaw Star pic! Most likely a screen capture I made from a DVD. 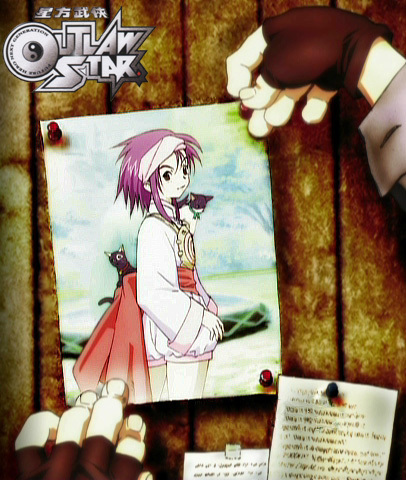 Outlaw Star is copyrighted by Morning Star-Sunrise/Ahueisha-Sotsu Agency. PLEASE DO NOT LINK TO THESE PICTURES DIRECTLY! Download all you want, but if you plan to display them (such as on forums), host the image yourself or have the forum do it. Thanks!